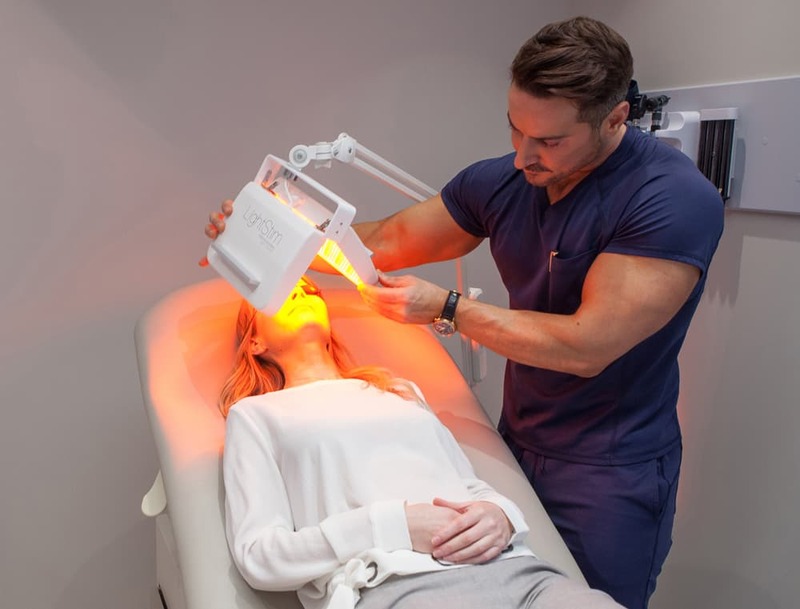 A Cold laser treatment is where non-heat emitting LED (light emitting diodes) are used to stimulate collagen, which is the main structural protein found in the skin and other connective tissues. Collagen is what helps give our skin strength and elasticity, along with replacing dead skin cells. A lower intensity light emitting diodes (LED) is placed over the area being treated. This light therapy stimulates collagen production, thereby increasing elasticity and repairing the tissue. Similar to lying in a tanning bed, the machine will be placed over the area being treated. LED light is then emitted to the treatment area. Depending on which skin concerns are being addressed, the blend of light therapy may differ and will be chosen by an experienced technician. Indefinitely with maintenance as required. Can be immediate depending on skin needs. Multiple treatments may be needed to achieve desired results.